New article about Kernel Encore, check it out…. 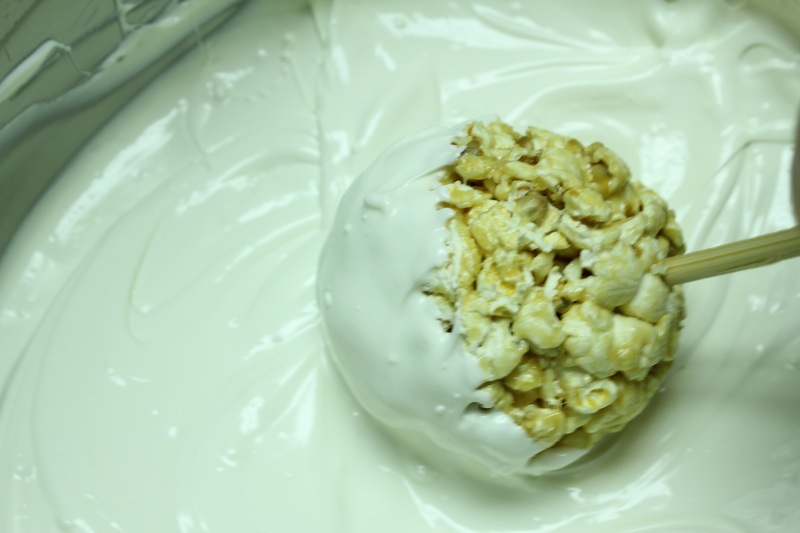 Grab your friends and some Kernel Encore Gourmet Popcorn Balls and get Dippin. With so many flavors to choose from you can’t go wrong. 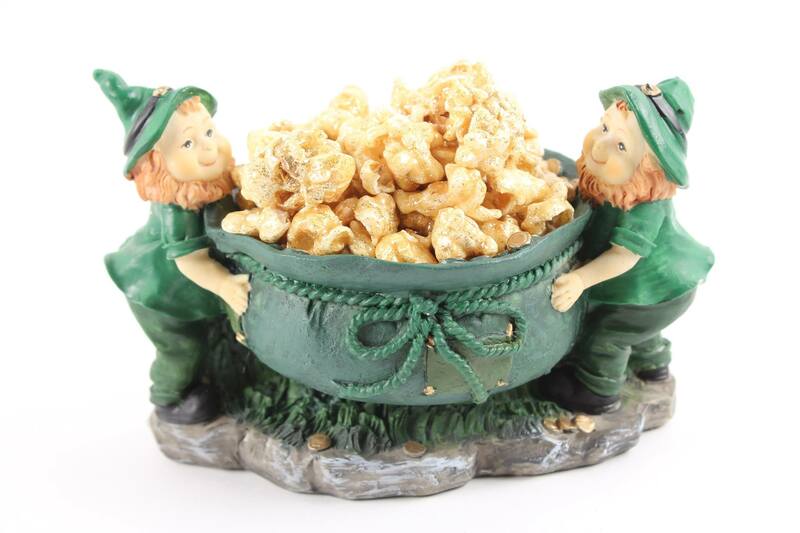 Nothing is better than Popcorn and Chocolate, they go together like Peas and Carrots, Bees and Honey, Left and Right. Chocolate fountains with Milk, Dark and White Chocolate would be the perfect pairing for Kernel Encore Gourmet Caramel Balls. Place a stick in each one, place on the table and let the fun begin. You might be a one time dipper, or a three time dipper. It does not matter. Dip until your sweet meter is full and the Chocolate stops flowing! Here is a great idea for a Beach theme party. 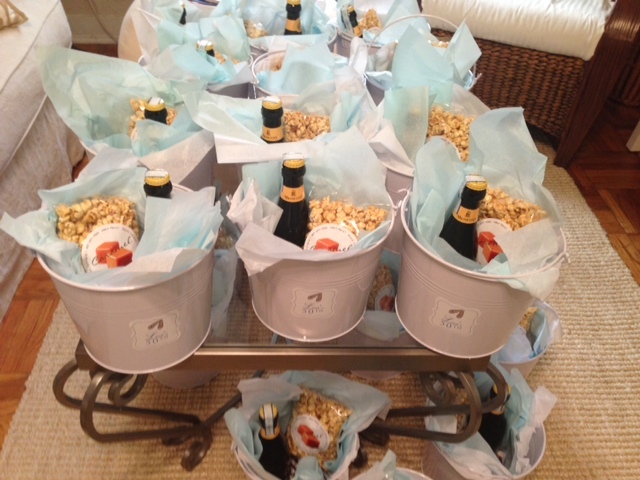 Lisa made Buckets with her favorite, Caramel Popcorn, and beverage. These were handed out as party favors. Cute idea and a great way to thank your guests for coming to your party. For a table display you could use white popcorn balls and sea shells wrapped in a fishing net. 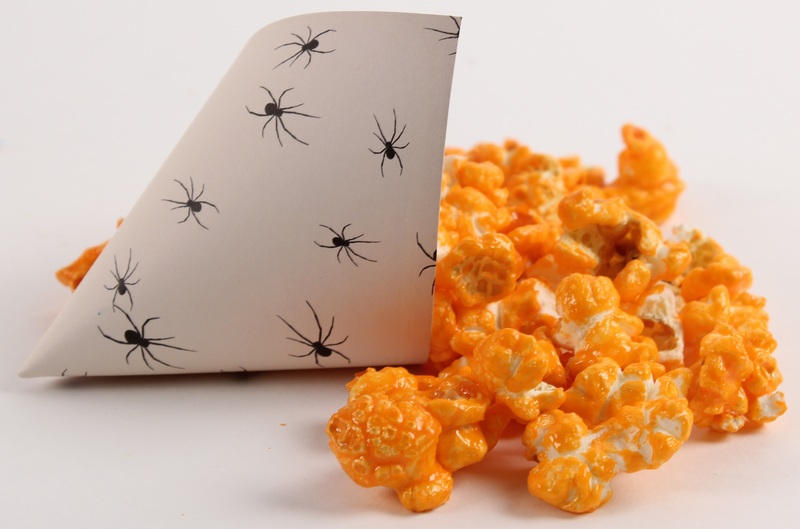 Flavors to compliment this theme would be Salt Water Taffy, Sea Salt Caramel, Sea Salt, Key Lime Pie, or Old Fashioned Sugar Corn. 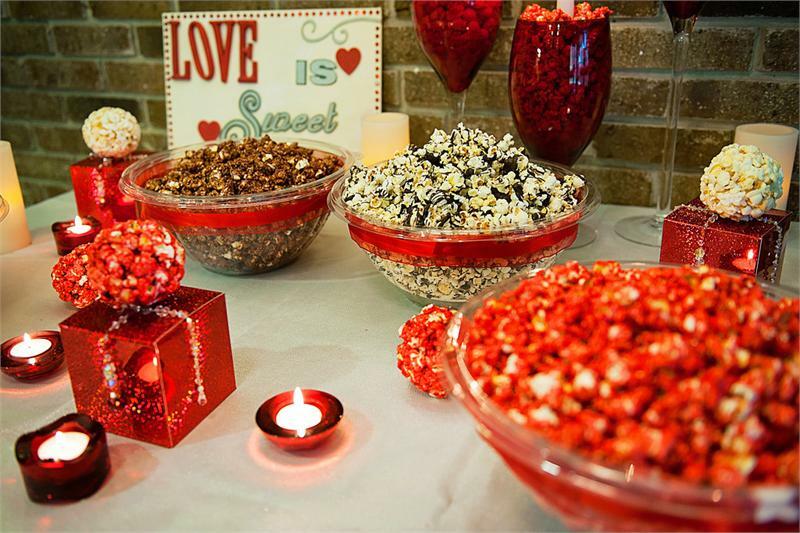 Using Kernel Encore Gourmet Popcorn can really put the POP in you Party! 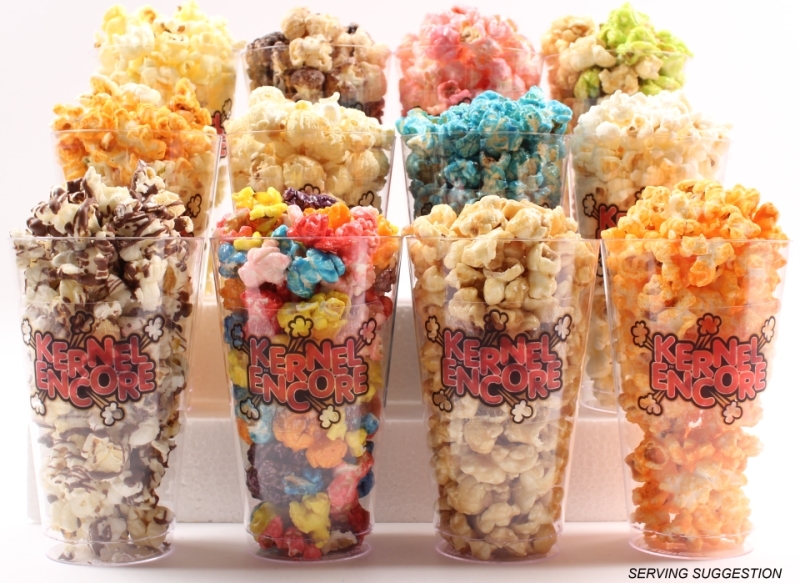 Just to prove how good the Popcorn is from Kernel Encore we are offering you 20% off any of our Gourmet Popcorn Samplers. From 8 packs to 48, and don’t forget the Balls. 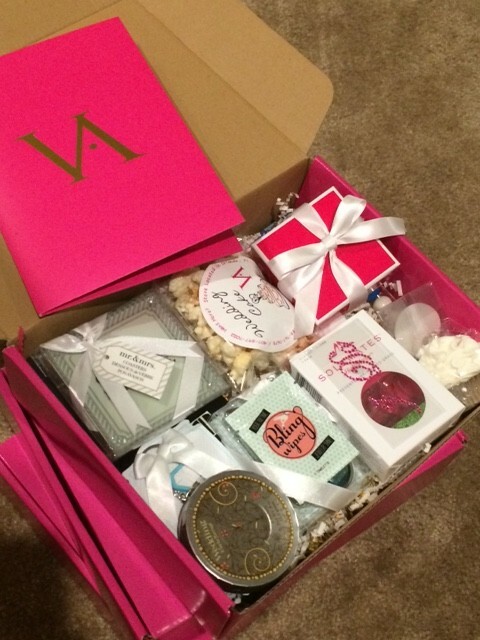 This is a perfect way to order some samples and start making plans for your celebrations. If not for you then send it as a Belated Birthday Gift or a Just Because and think of all the credit you will get and they will never know it was 20% off. Check out the link below and order yours before August 16th, when your chance will be over. All that Glitters is not just Gold. 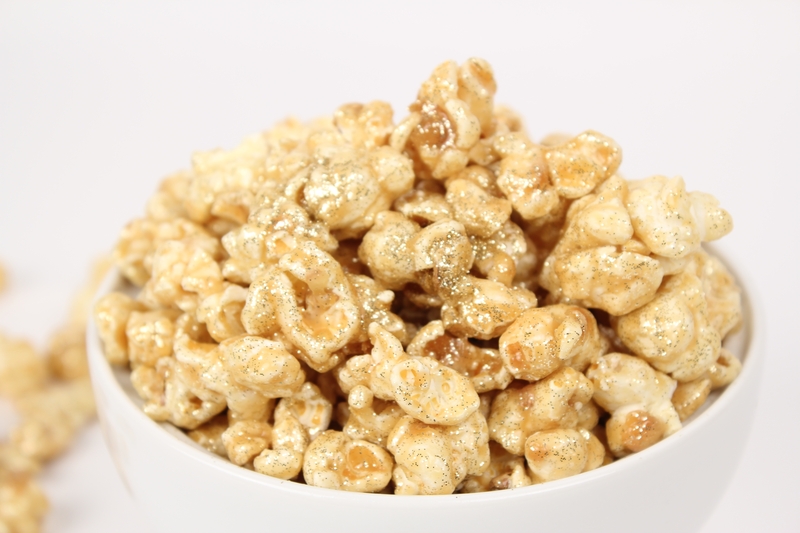 It can be the most delicious Caramel Corn that Sparkles like gold. Perfect fro a Wedding or any Party that needs a little Sparkle, and lets face it, any party can use Sparkle. New Years Eve, Christmas, Thanksgiving, Birthdays, or just because. 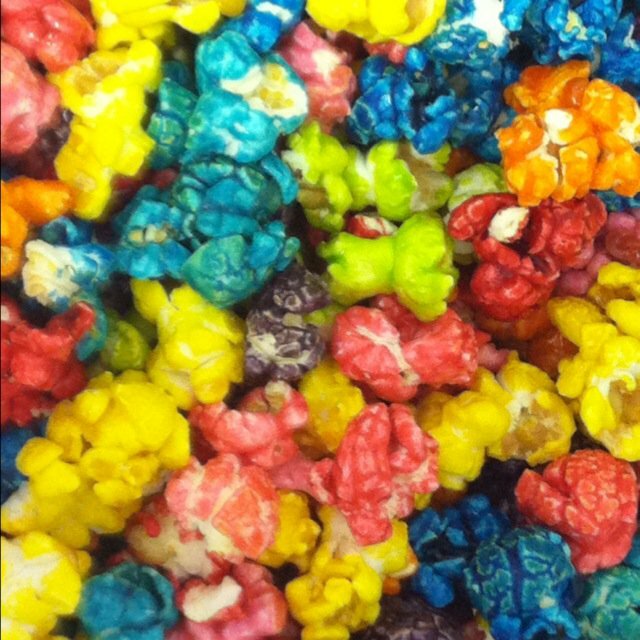 Kernel Encore Has a complete line of Sparkle Corn that you will not find any where else. We can even customize a Sparkle color just for you and your event. How about a kids “Frozen” Party with popcorn that Sparkles like ice. Or make it an adult frozen party with popcorn that Sparkles but lets have Champagne flavor. There is now No excuse to make your get together an event that people will keep talking about. It is always about the Bling, and Kernel Encore is your place to get your Bling on.